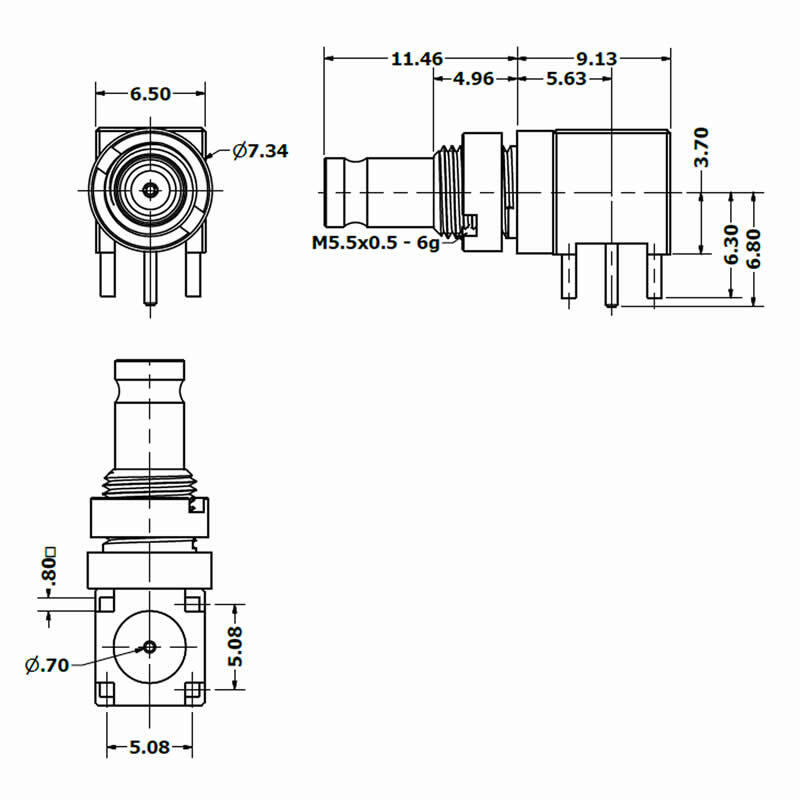 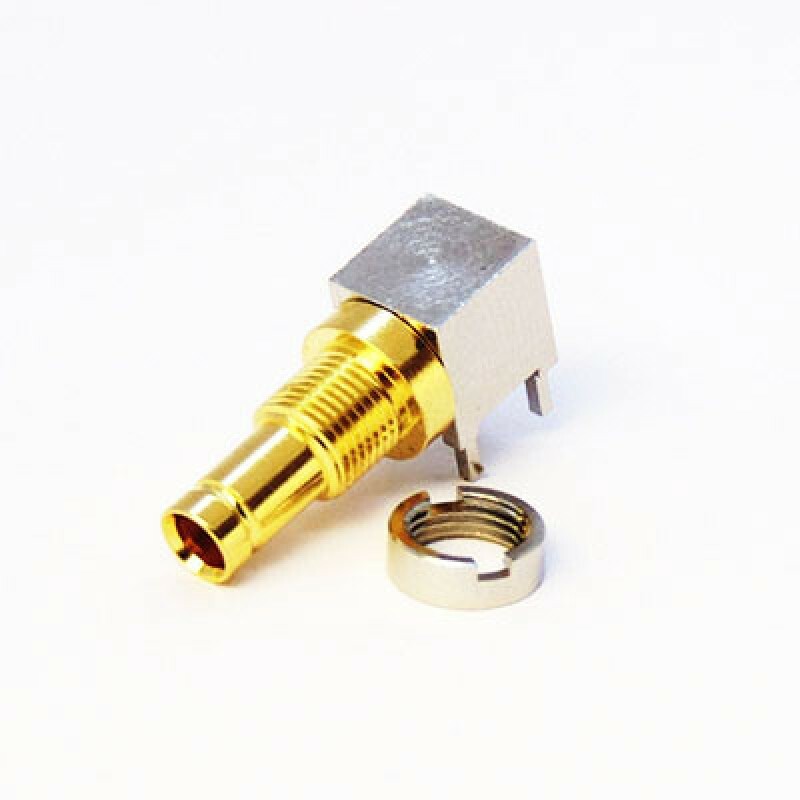 The C-SX-113GN is a right angle PCB bulkhead mounted connector which conforms to the standard of SMPTE ST 2081-1, allowing bit-rates of 5.94Gbit/s over a single coaxial connection. 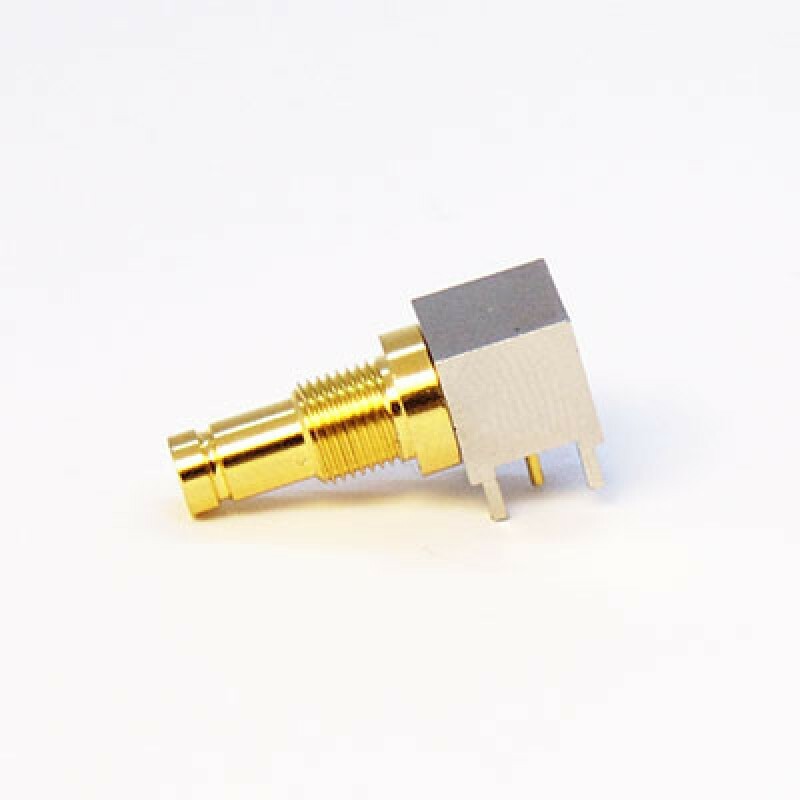 The 8mm pitch and low profile of the connector enables double wiring densities and is optimised for use in 6G HD-SDI applications. 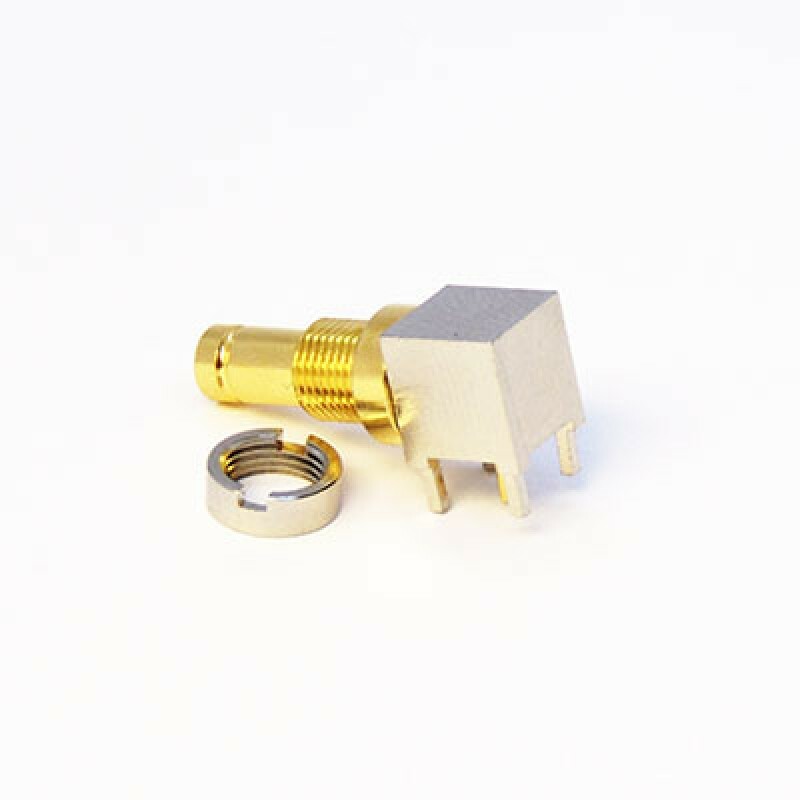 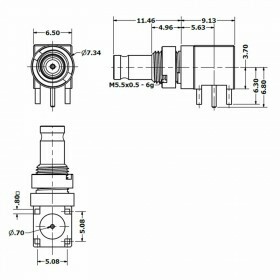 The C-SX-113GN is supplied with a 2.35mm deep M5 nut.